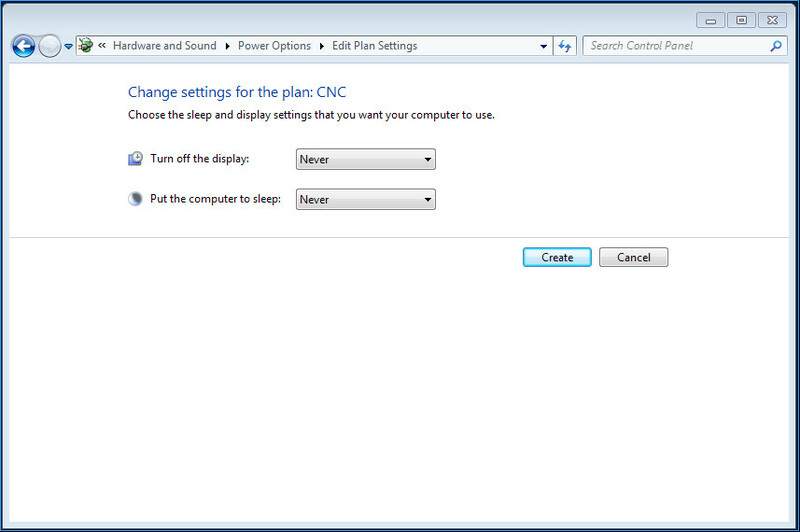 This guide provides step by step setup instructions for configuring the Ethernet Smoothstepper (or ESS) for use with your CNC Router Parts Electronics and Mach3. The companion video to this guide (above) is out of date and includes steps for installing the Ethernet Smoothstepper plugin and our Auto Z Touch Plate script. These steps are now performed automatically for you by our latest Mach3 installer. This video guide remains a very useful walkthrough of the setup process otherwise, however those steps may now be ignored. If you have purchased one of our Plug and Play Electronics Systems, your Ethernet Smoothstepper is already fully-installed and ready to go, and you should proceed with the steps below to configure your PC with Mach3. For help with the physical installation and configuration of the Ethernet SmoothStepper, please first refer to the Ethernet Smoothstepper Hardware Installation Guide and then return to these instructions when you are ready to proceed. Please install Mach3 to its default location (C:\Mach3). Do not install the parallel port driver if asked during the installation process. Mach3 will run in Demo mode until "unlocked" with the purchased license file, however you may continue with the remaining setup steps in this guide while running Demo mode if you wish. If you purchased Mach3 from CNC Router Parts, you will receive your license file along with detailed instructions for installing it via email. Download and install the appropriate Pre-Configured XML File for your electronics to your C:\Mach3 folder (do not run Mach3 yet). Your Ethernet cable should now be plugged in to both your PC and the Ethernet Smoothstepper. The Ethernet Smoothstepper SCU (System Configuration Utility) is the quickest and easiest method to perform the basic configuration step to connect your computer with your Smoothstepper and CNC electronics. Simply visit the SCU (System Configuration Utility) page, and follow the instructions there to download and run this utility. The Ethernet SmoothStepper solves or greatly reduces most potential Windows-related communication issues by providing a dedicated real-time DSP (digital signal processor) to handle the precise timing of step and direction signals to your CNC electronics. 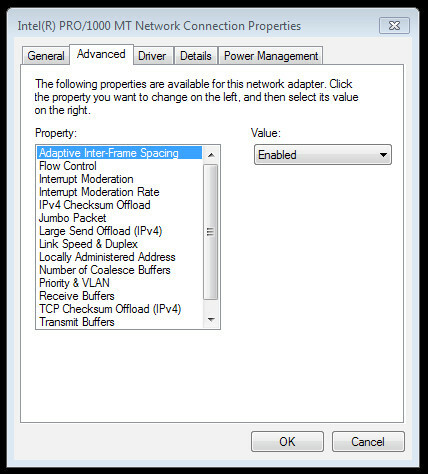 In the ethernet adapter properties, under the “Advanced” tab, disable the “Energy Efficient Ethernet” and “Green Ethernet” properties (Note: either or both of these properties may not exist). 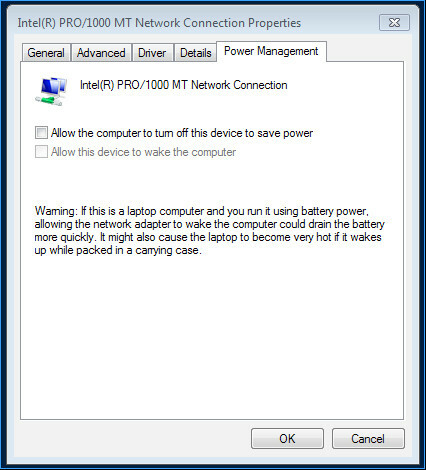 In the ethernet adapter properties, under the “Power Management” tab, uncheck “Allow the computer to turn off this device to save power” option (Note: the Power Management tab may not exist, in which case skip this step). 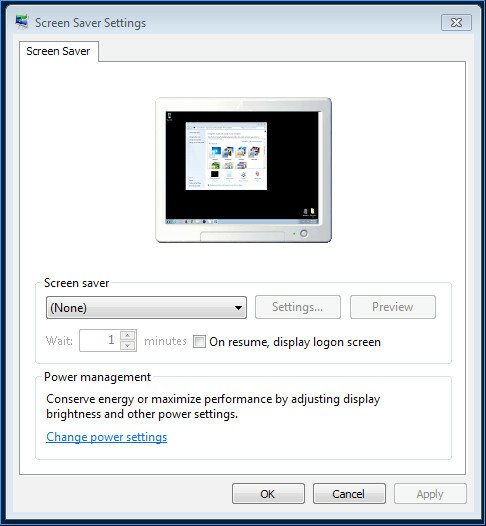 Turn off/disable the Windows screensaver. 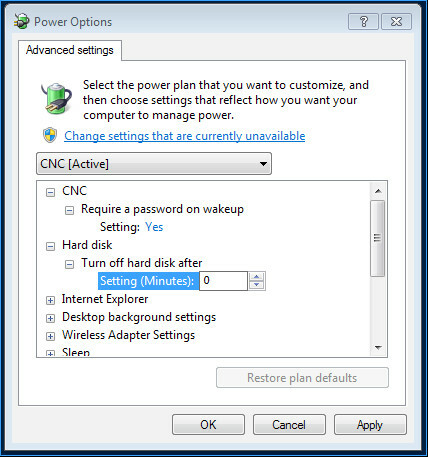 Configure Power Management - create a new power plan called “CNC”, starting with the “High Performance” as the template, and set everything to “Never” for both the “Plugged In” and “On Battery” settings (Dim Display, Turn off Display, Put Computer to Sleep). 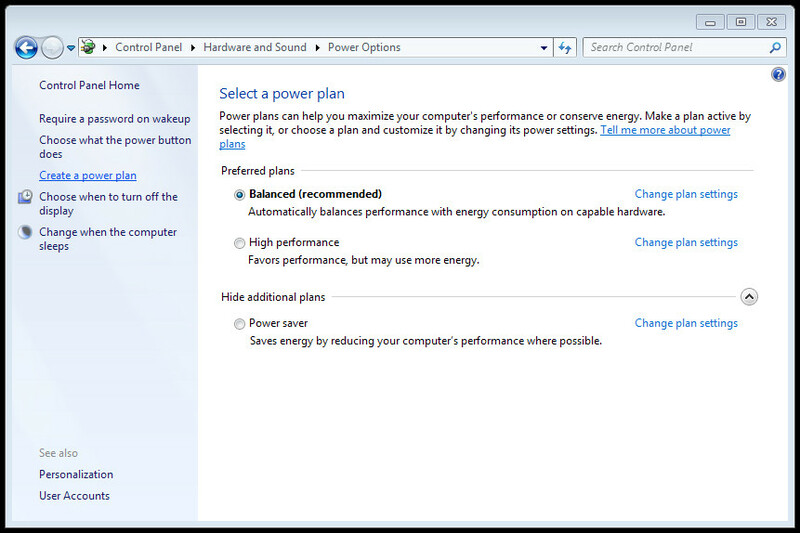 NOTE: You must go into the “Change advanced power settings” to configure the Hard Disk to never turn off (on battery or plugged in). Disable (preferably uninstall) any third-party virus scanning/protection software. 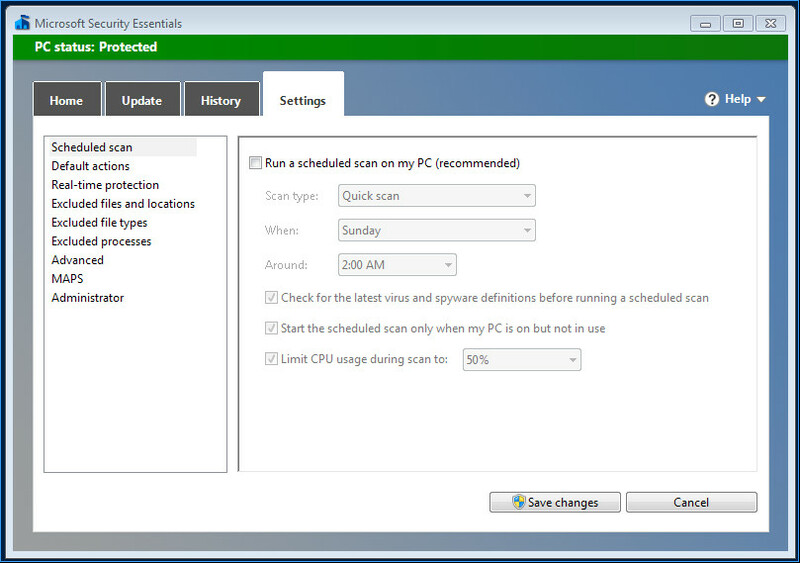 Configure Windows Defender (Windows 8 ) / Windows Security Essentials (Windows 7) to never run a scheduled scan (note: this is not possible on Windows 10). 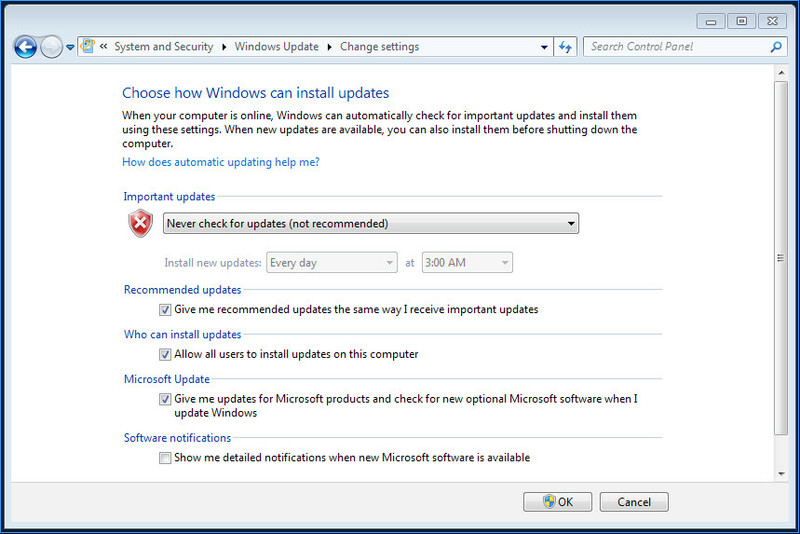 If you are running Windows XP, Vista, 7, or 8, disable automatic updates altogether. Create a shortcut to run Mach3 with “Above Normal” priority. Target: C:\Windows\System32\cmd.exe /c start "Mach3" /AboveNormal "Mach3.exe"
Optionally, set the shortcut icon by navigating to "C:\Mach3\Mach3.exe" and selecting the Mach3 icon. Drag the new shortcut to the task bar to pin it there for convenience. Note: if you are using one of our Pre-Configured XML Files, the following setting should already be present. In Mach3, under “Config”->”General Config, set the “LookAhead” setting to 100 (the default is 20). 7. Best Practices for CNC Operation. 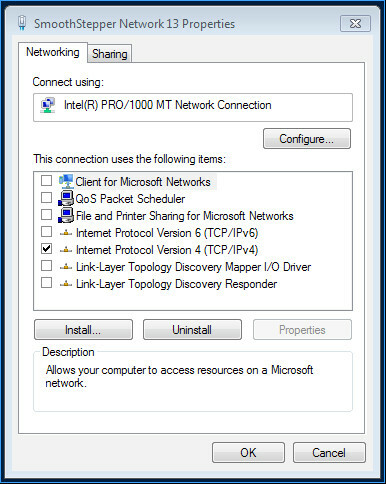 Always turn-off or disable all other network connections (i.e. Wifi) when running a CNC program in Mach3. 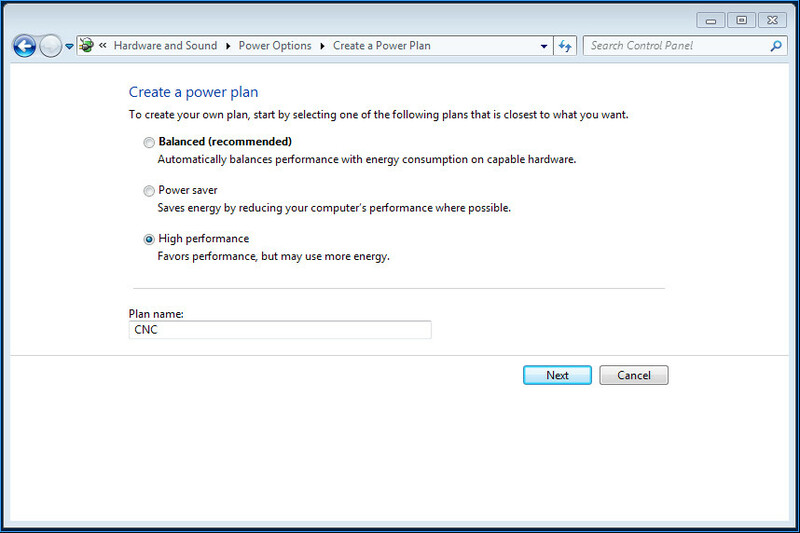 Check Windows Task Manager for other processes taking up significant CPU or Memory resources. If you have additional questions or run into issues with your setup, feel free to Contact Us and we will be happy to assist you.